3-passenger, driver and front passenger recline with outboard head restraints and center fold-down armrest with storage. 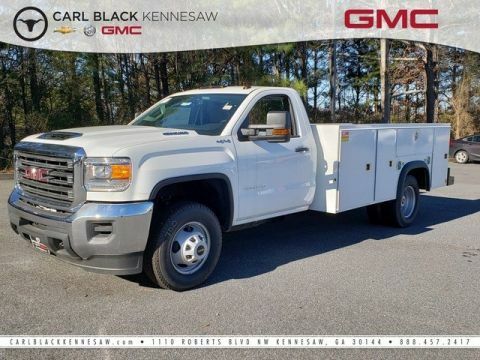 Finance Offers based on MSRP:2018 GMC Sierra 3500HD Chassis 4x2 Regular Cab 162in. 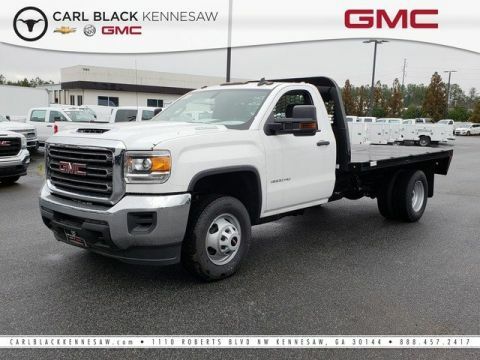 WB DRW finance rates for qualified buyers:0% APR for 36 months 0% APR for 48 months 0% APR for 60 months 500% APR for 36 months 500% APR for 48 months 500% APR for 60 months The 2018 GMC Sierra 3500HD is power and confidence proven through design. Its bold, powerfully sculpted design not only looks smart, but also works efficiently, from its high-strength steel, available hood scoop, HID projector headlamps with LED signature lighting to its sculpted grille with chrome surround. 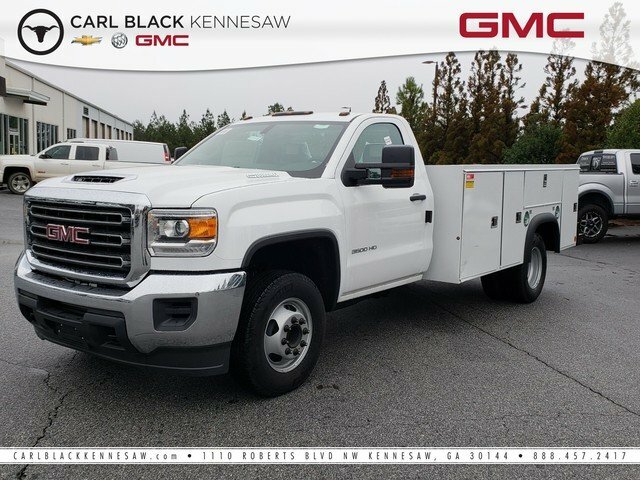 To help you get to work, the Sierra 3500HD offers an innovative cargo box, featuring a corner-step rear bumper, providing efficient access to the truck bed and your cargo, a high-strength steel bed, an easy lift and lower tailgate and upper tie down hooks. Once inside, the supportive seats and refined fit and finish deliver premium comfort even on the longest trips. Its purposeful design creates an impactful presence, helping create a quiet premium cabin while also providing plenty of hidden storage space, featuring quiet innovations, available large center console and available under-seat storage. 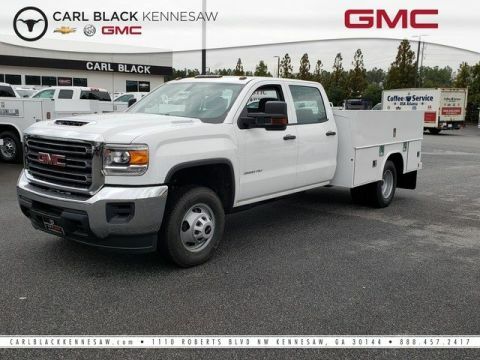 This truck comes standard with the force and efficiency of our 360 horsepower Vortec 6.0L V-8 and has an available trailering camera system, hill start assist and a rear-vision camera. It has a maximum conventional trailering capacity of 20,000 pounds, maximum fifth-wheel/gooseneck rating of 23,300 pounds and a maximum payload of 7,153 pounds. Also inside, the Sierra 3500HD, you'll find everything you need to stay connected is within reach, from available built-in Wi-Fi, an 8-inch infotainment system with navigation, premium audio, wireless charging capabilities and access to the myGMC app. You'll also find state-of-the-art safety to help enhance your awareness of the road and surrounding vehicles, and much more.